﻿ COSMO Hotel Berlin Mitte Berlin. JIMAT di Agoda.com! Diubahsuai pada tahun 2012, COSMO Hotel Berlin Mitte memberi jaminan kepada tetamu penginapan yang menyeronokkan di Berlin sama ada untuk perniagaan atau berseronok. Dari sini, tetamu boleh menikmati akses mudah kepada semua yang bandar meriah ini boleh tawarkan. Tidak kurang hebat adalah akses mudah hotel untuk ke pelbagai daya tarikan dan mercu tanda bandar, seperti Jungfernbrucke, Gertraudenbrucke, Kedutaan Kerajaan Maghribi. Menawarkan tetamu hotel perkhidmatan yang unggul dan pelbagai kemudahan, COSMO Hotel Berlin Mitte komited untuk memastikan penginapan anda berada di tahap seberapa selesa yang mungkin. Untuk keselesaan dan kemudahan tetamu, hotel ini menawarkan Wi-Fi percuma semua bilik, khidmat teksi, khidmat tiket, mesra kerusi roda, meja depan 24 jam. Semua bilik tetamu menawarkan pelbagai jenis tahap keselesaan. Banyak bilik turut menyediakan almari, selipar, televisyen skrin rata, sofa, bilik larangan merokok untuk memuaskan hati tetamu. Hotel ini menawarkan banyak peluang rekreasi yang unik seperti pusat kecergasan, sauna. 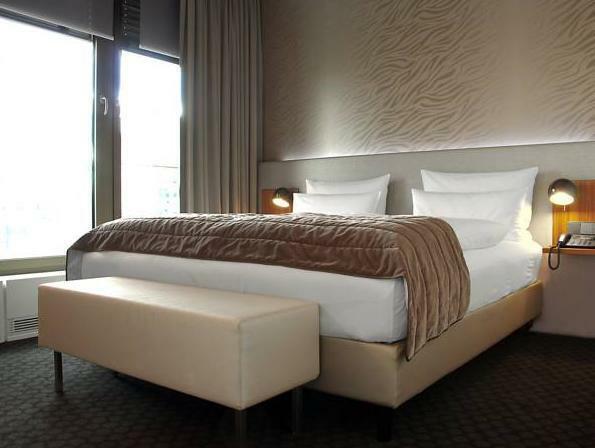 Dengan lokasi yang ideal dan kemudahan sepadan, COSMO Hotel Berlin Mitte sangat memuaskan hati. Its staff is one of the friendliest and professional of all the hotels that I have seen. They are very helpful and friendly, on top of their new and clean facility. Recommended! the location was good quiet but walking distance to various places of interest.. overall services was excellent.. very comfortable room, was well rested given it was last league of our travel..
Value, location, room both size and cleanliness were excellent. However, book a room away from the street...very noisy!! Windows close off noise well but stuffy then. Front desk staff supercilious, but got the job done. Really good price/quality hotel. Functional, clean and modern rooms. 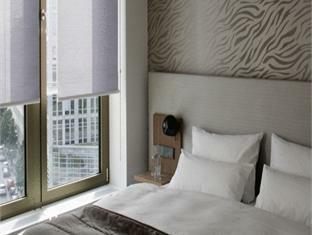 Directly opposite U-Bahn station and in walking distance of many tourist places. Good breakfast buffet. Wifi now extended to all rooms throughout the hotel. Been there twice now and will come again. Easy walk to historic sights in Mitte and a little longer walk to the nightlife in East Kreuzburg and across the street from the metro. The hotel is modern and stylish and the rooms are updated and clean. Recommended. Free upgrade to biggest suite as it was my partners birthday - it was amazing! Huge room and was beautifully modern. Hotel is across the road from the underground station - extremely handy and easy to get to main sights. This hotel is amazing, perfect location, withing walking distance to all the main sights. The room was spotless and beautiful. I found it hard leaving my hotel room , I could have sat in it all day!! There was heavy rain one of the days I was in berlin so I ordered room service for dinner, the food was delicious:-) Would stay here again without a doubt! Just came back home after staying for a week in Berlin, particularly in this hotel. My fiancé and I stayed in one room while my in-laws stayed in another. My in-laws always had problems with their room being cleaned and shampoo and body wash to be supplied. Our room was clean daily however we did experience the lack of supplies occasionally. We would ask the staff for recommendations of what is near by and often time they are not very accommodating. They seem very standoffish and unwilling to provide input. For the most part, the value and location of this hotel is great. It is a very clean hotel and the price you pay is worth it. Just stock up on your own bathroom utilities. The hotel was impressive from walking through the door only to be matched by the friendly and helpfull staff and then by an amazing room which was a junior suite. The location was prefect for all the places of interest with lots of choices of eateries and the underground. 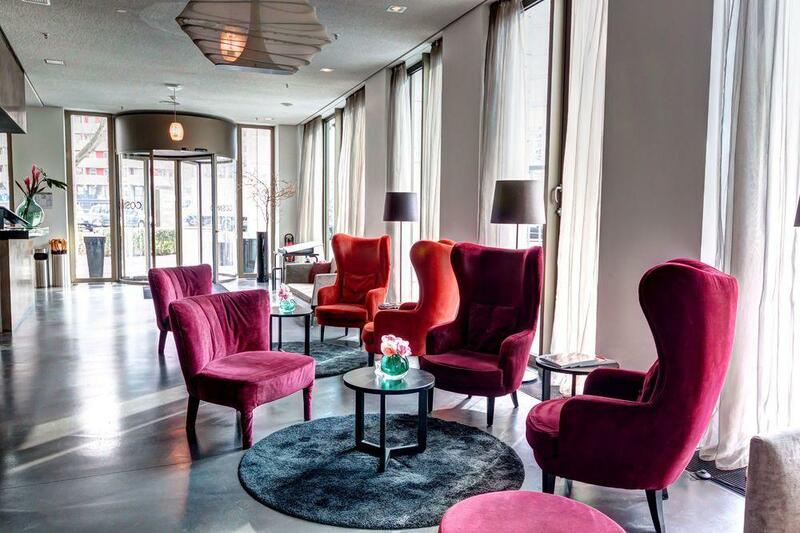 We loved Berlin and this hotel and will definitely return and stay at this hotel. I thouroughly enjoyed our stay at the hotel - the room was a joy to come back to at the end of a day's sightseeing in Berlin. We had a beautiful view from two floor to ceiling windows in our room. The underground subway is right across the road and you are within walking distance of some of the main attaractions. I would definitely recommend. The hotel looks modern and it's clean. Only complaints are that we stayed at a connected room and the corridor was very dark. Bus stop and train station is like few mins away. Walking distance to a xmas market. Overall a very comfy hotel and I will definitely stay there again. Very pleased with our stay at Cosmo, we had the junior suite for 3 days, the room was beautiful and staff happily provided anything we needed. 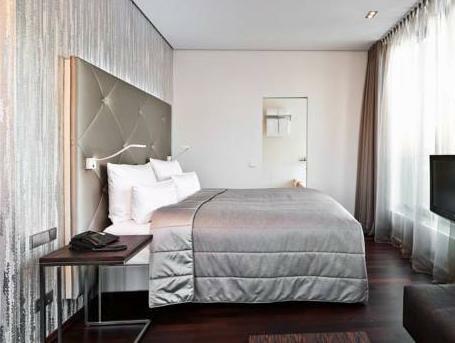 Good location, right next the station which is about 5 minutes to potsdamer platz. 10 minute walk to the Gendarmenmarkt Christmas market. Would stay here again. we enjoyed our stay in the hotel. Apart from getting a room at first where the AC was not working the night staff were very helpful and switched our room easily. Would be better if they gave free wifi access in the bedrooms and not just the lobby. This hotel should teach other hotels how to function. The facilities are excellent. The staff is top notch. If every hotel could provide this type of service, no one would ever go home. 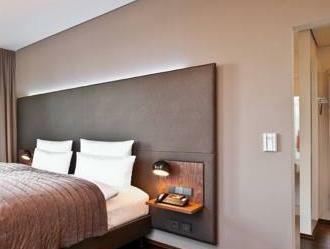 The hotel is located next to underground, close to Museum Island, Brandenberg Gate and other attractions. Lots of nice restaurants in area. Gym has quality equipment and is clean. First time in Berlin and could not have asked for a better place to stay. Great location, modern rooms and very clean. Location is walking distance to the main street and business sector. The staff all speak good English, I had no trouble understanding them. The rooms are lovely, very modern design and very clean. Nice walk in shower. Small in size but everything alright. Location is quite good as many attractions are in walkable distances. location is great, the view is ok. the bathroom is full equipment.